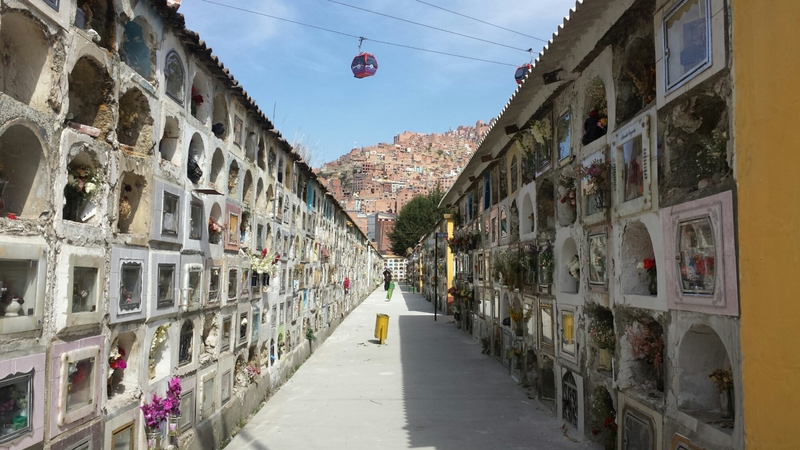 Let’s Go Down To The Cemetery – Bolivian Cemeteries | LOOK WHAT WE DONE! 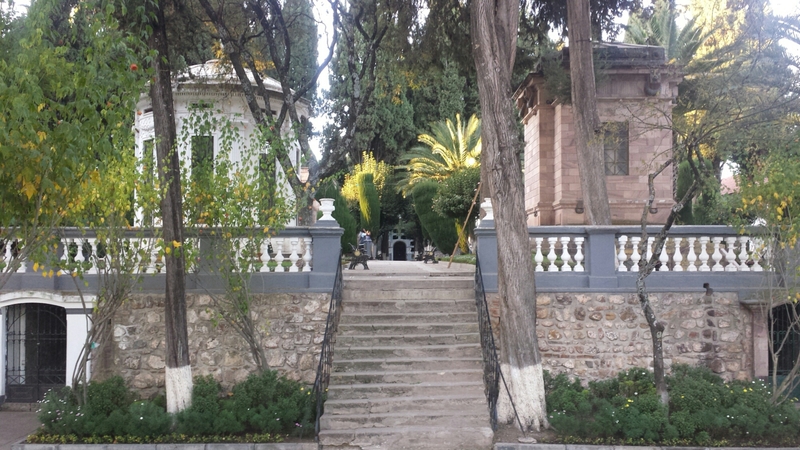 Sucre’s Cementario General – almost like a botanic garden. 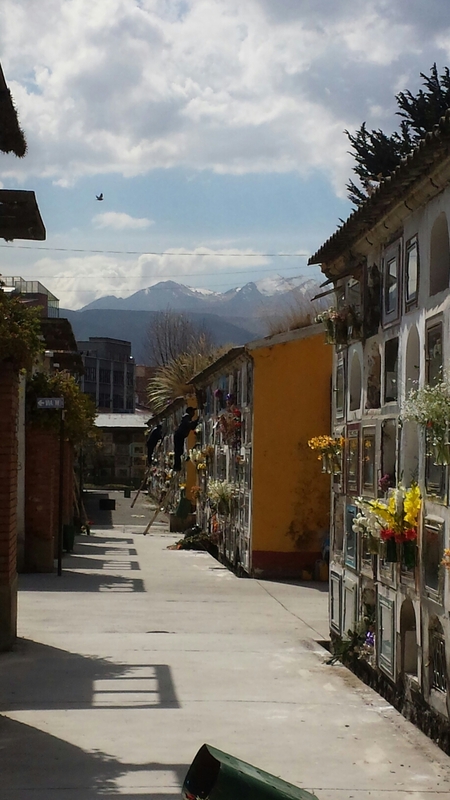 The mountains of La Paz create a cool backdrop to that side of the cemetery. In La Paz we stumbled upon the Cementario General purely because the public transport cable car goes right over the top of it. Naturally I insisted we get off at the next stop so we could go and check it out. This place stretched on for what seemed like forever – 15 city blocks in fact – and in places looked like a beautiful old park and in others looked like North London council housing blocks. 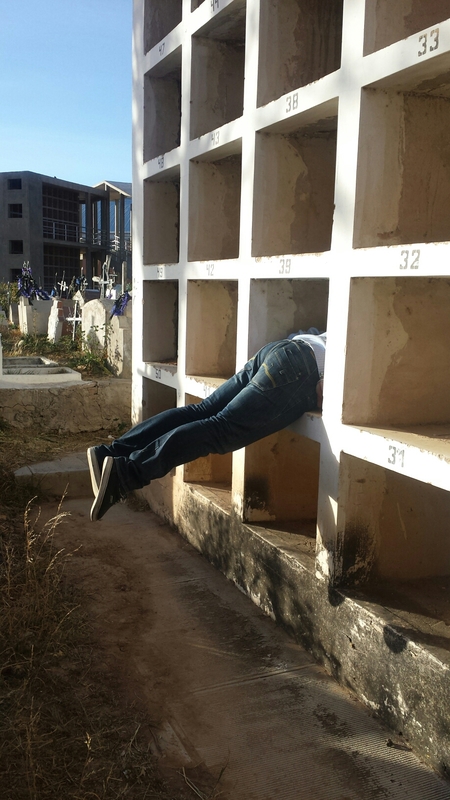 Other than some big family mausoleums it was mostly rows upon rows of cement buildings which coffins are slotted into – about 5 high and 50 long. 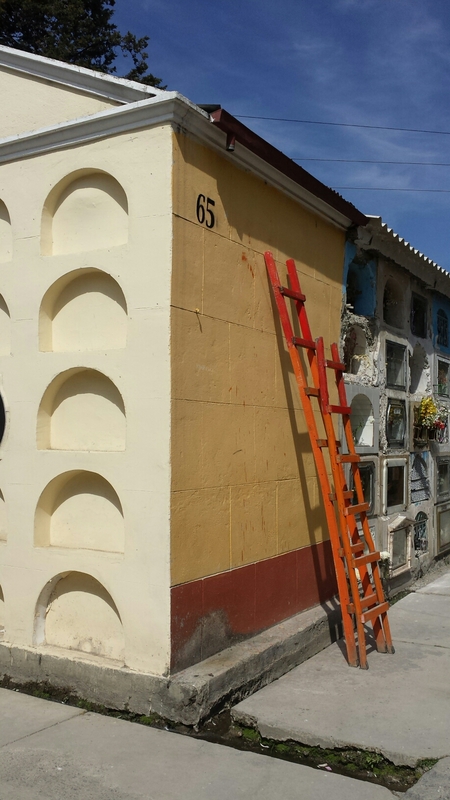 The front facade of where the person is slotted into is decorated by the family with all manner of things – little bottles of Coke or wine; flowers; photos; loving words… Ladders are dotted all over the place so family members can access the higher ‘graves’. It looks like a patchwork quilt of memorials. So beautiful in a really creepy way. The Mi Telerifico cable car (public transport) just cruises straight over the top of the cemetery. 1. Person dies, they get put in one of those slots and the family throw a big party. 2. The family has to have a celebration every day for the first week; once a week for the first month; once a month for the first year; and once a year for the first five years. 3. After the five years is up the body is brought out and cremated. The family have one last party and spread the ashes (often on Lake Titicaca) and that’s that. It’s a bit frowned upon to mourn after that. 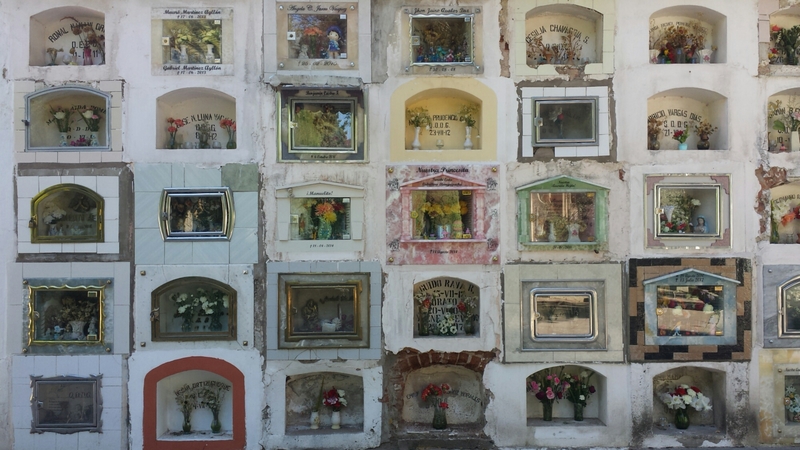 My other favourite fact about these cemeteries is the tradition of Dia De Los Muertos, or ‘Day of the Dead’. 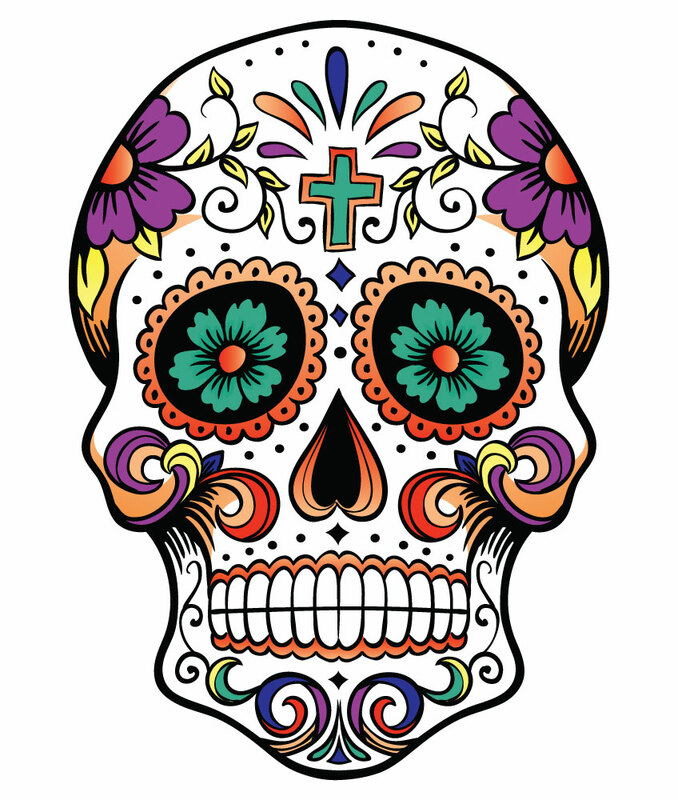 Most people have probably heard about Day of the Dead – it’s a big part of Latin American culture and there’s a lot of imagery surrounding it that’s super trendy right now like the sugar skulls that are a popular tattoo choice. Anyway, it’s believed that on November 1 the souls of the dead come back to life and cruise around (paraphrasing a bit here). In Bolivia it’s customary to cook your dearly departed’s favourite three course meal and leave it for them out the front of their grave. 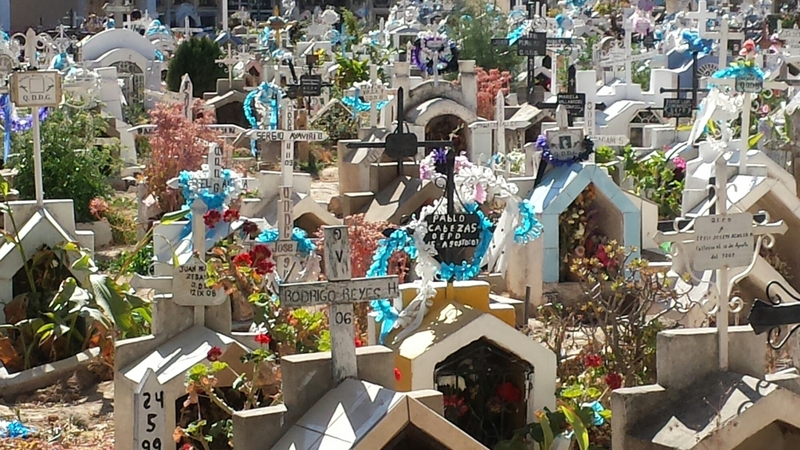 As you can imagine with 15 000 ‘residents’ in La Paz’s main cemetery, that’s a lot of food. And in a city with many citizens living in poverty it’d be a shame to let that food go to waste. So during the day the poor and hungry people start queuing around the cemetery. See how this is street number 65? At midnight, when it turns to the 2nd of November and all of the souls have returned to their graves (without having touched their food, incidently) the gates of the cemetery are opened and the people are allowed in for a feast. Sometimes the family members of the deceased will leave a little ‘reserved’ sign next to the meal and give the directions of the grave to a particular person in the queue. How lovely! Open inspection for future real estate. 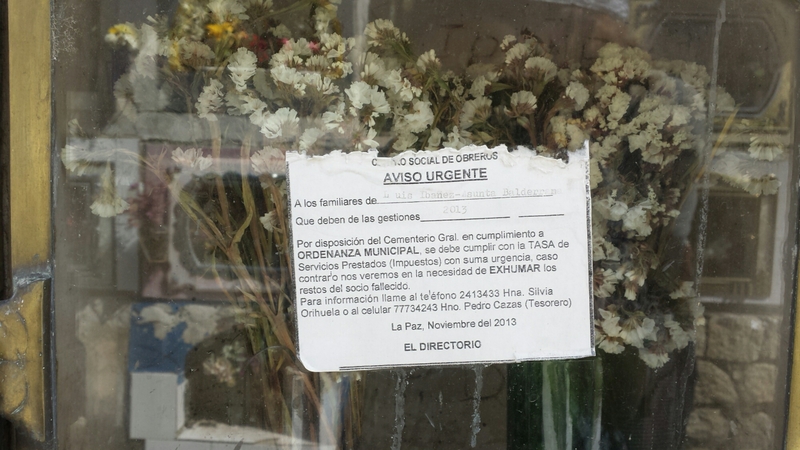 I made Vicente take me to the Sucre cemetery as a field trip for one of my Spanish lessons. It was an eye-opener about Bolivian history which I didn’t previously know about. We visited graves of various important historical figures – journalists; army generals from various wars; politicians etc. I learned that Bolivia lost its coastline because Chile just waltzed on up to it and claimed it during Carnival; every person in Bolivia was drunk so they couldn’t really stop it. There were big protests in 2007(?) 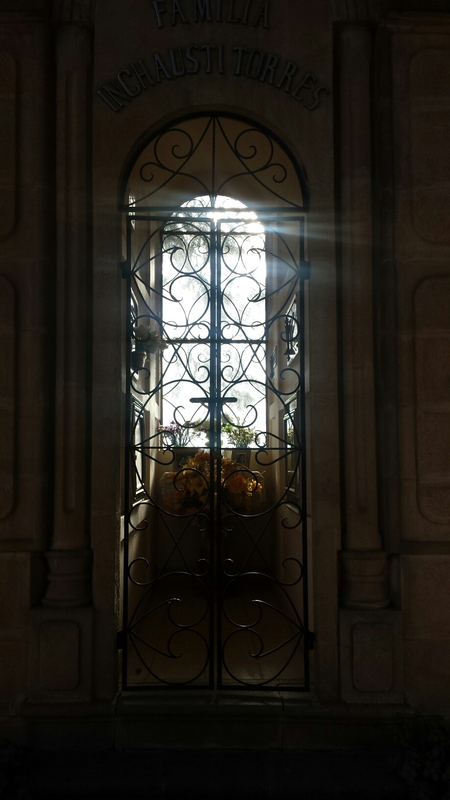 to keep Sucre as the capital city. Three people actually died for the cause and there’s a big memorial to them. 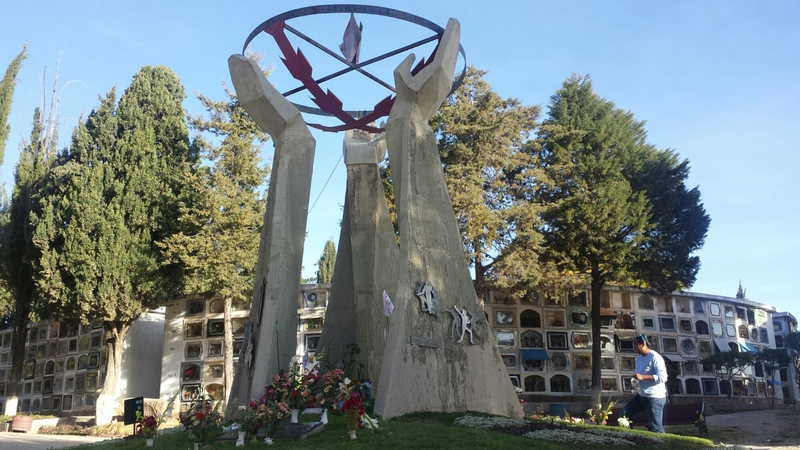 The memorial to the three people who died during protests to retain Sucre as Bolivia’s capital. One was a doctor and a friend of V’s father. 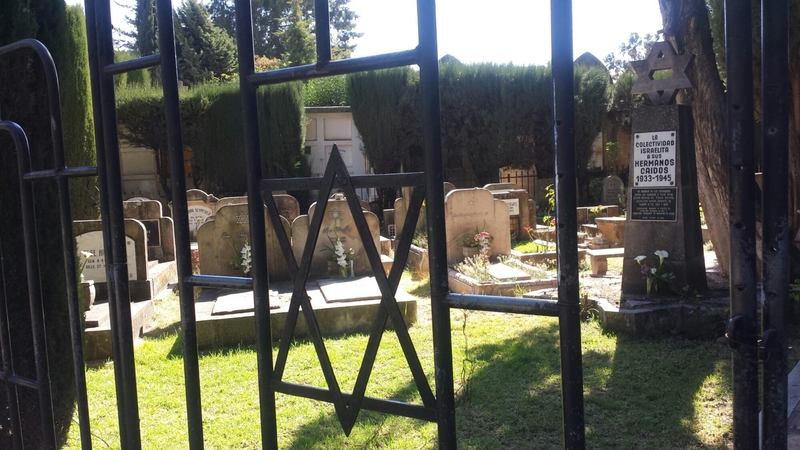 Even more fascinating is the Jewish section; there is an actual section for the Jewish refugees who fled Nazi Germany. In Bolivia! It was astonishing to see how far-spread the effects of that regime were/are. 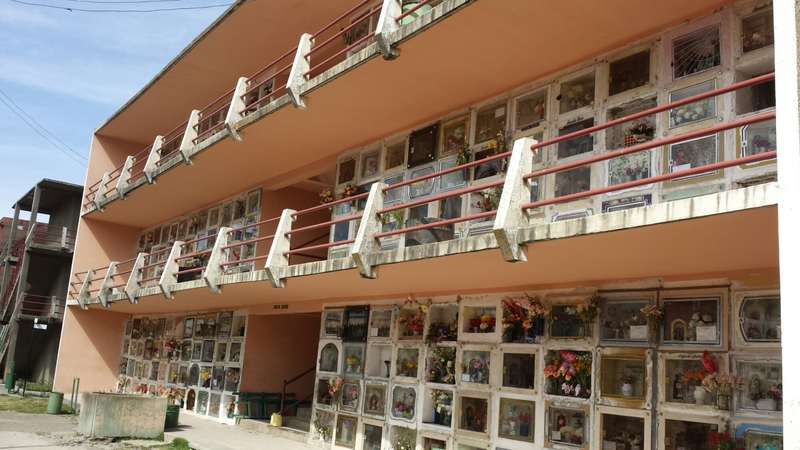 While they may not be known as touristy cemeteries like Paris’ Père Lachaise or Buenas Aires’ La Recoleta, the cemeteries of Sucre and La Paz are well worth a wander through.